This Is My Faster! : Patience, Caffeine & the Pre-Race Expo.. I needed to be reminded of this today. 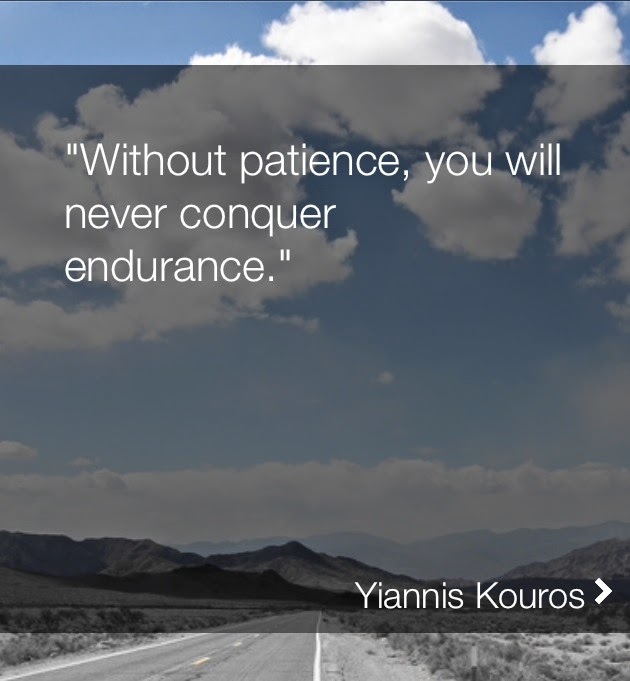 Training for a marathon (or half) requires endurance and achieving endurance requires patience. This has been my lesson over the past few months. Today got started early! I've been battling a headache since Thursday afternoon so waking up at 3:45am was not fun. Damian (my hubby) dropped me at the airport and I was on my way! Nothing helps a headache better than caffeine. Thank heavens for Starbucks! (I should really buy shares in Starbucks cause I contribute greatly to their profit margin). Then it was time for food and to head to the Radisson Blu Aqua for the pre-race expo! I was going to stay for the guest speaker and all the pre-race expo hoopla but my headache didn't seem to be going away. I figured it would be better if I got some rest, so I headed back to the hotel for an early evening. I'm all set for tomorrow!